Via Global Voices Online’s Memedia translation (an old issue). Thank you tian for fixing my translation. Xianggu is a type of mushroom. 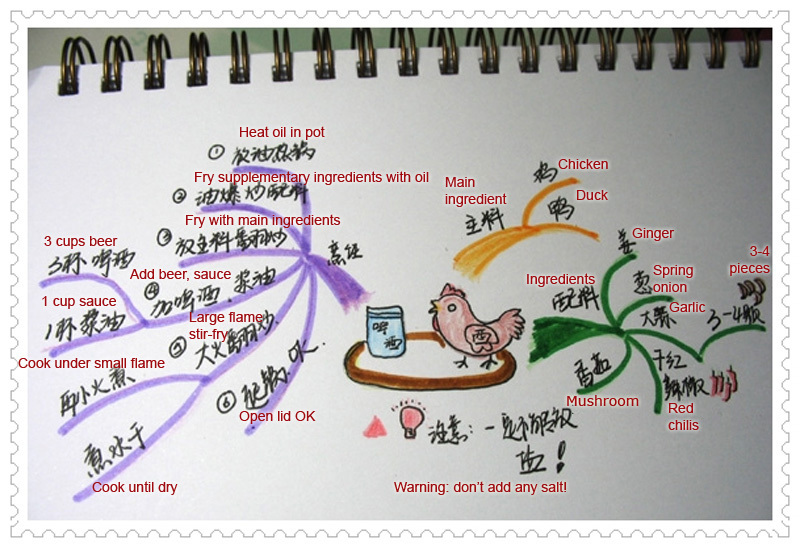 Wow, what a compact way to present a recipe. And with cute illustrations too! Someone should produce a whole cookbook using that style. This would be excellent classroom material! For anyone who intends to use this recipe, where it says “mushroom”, the characters actually say “parsley” or “coriander”, I think. Wow that’s interesting. Good news though, they make easy to use bikini hair removal creams. They work just as good as a wax for women who still want to be clean down there.